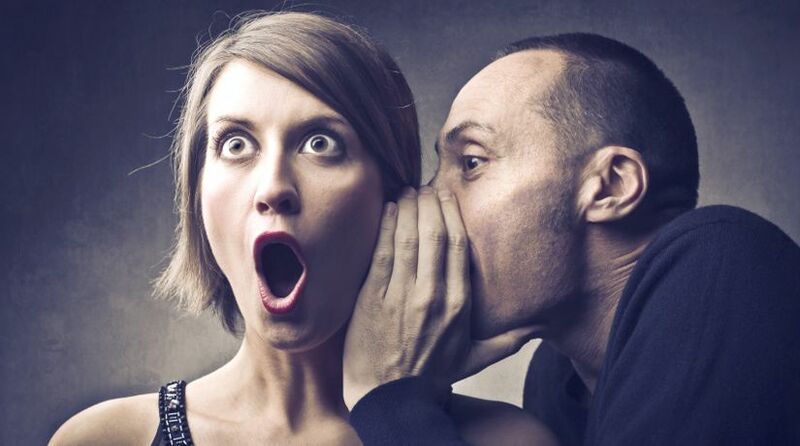 Gossip is common—people like to get a tidbit of “insider knowledge” about others. But is gossiping wrong? What does the Bible say about taming the tongue? What does the Bible say about gossip and taming the tongue? Not only is gossip commonplace today, there are people who advocate that it is positive! Robin Westen reported in Psychology Today about social scientists who have researched gossip: “In the vast majority of cases, they contend, it’s beneficial. Gossip serves important social and psychological functions; it’s a unifying force that communicates a group’s moral code. It’s the social glue that holds us all together” (“The Real Slant on Gossip,” July 1, 1996). Is that really the case? Is gossip a beneficial and unifying force in the vast majority of cases? Will those who regularly engage in communication that destructively harms others use this “slant” to justify their continued maiming of others? Some people traffic information so much that their identity literally becomes that of a gossip. They are addicted to hearing things about others and passing them along. When you see such a person approaching or hear his or her voice, you know that gossip is on its way! Addicted gossipers frequently imply by their tone and choice of words that the subject of their gossip is inferior, flawed or simply unworthy of respect. People caught in this trap of gossip consciously or subconsciously parade themselves as the standard of all true knowledge and judgment. They seem driven to search out and speak of the shortcomings and failures of others. The etymology of the word gossip is rather revealing. Here is an example: “Old English godsibb—‘sponsor, godparent,’ from God + sibb ‘relative’ (see sibling). Extended in Middle English to ‘any familiar acquaintance’ (mid-14c. ), especially to woman friends invited to attend a birth, later to ‘anyone engaging in familiar or idle talk’ (1560s). Sense extended 1811 to ‘trifling talk, groundless rumor’” (Online Etymology Dictionary). So, our modern English word gossip has evolved from words that describe people in a position to know private facts about others and has come to mean not only knowing those private facts, but also spreading them around. What does God say about gossip and about taming the tongue? “You shall not go about as a talebearer among your people,” God instructed the congregation of the children of Israel in Leviticus 19:16. Clearly God was not referring to some benign social interaction. “Talebearer” is translated from the Hebrew râkìyl, which “refers to spreading rumors or falsities about someone. It is always used in a negative manner” (Spiros Zodhiates, Complete Word Study Dictionaries, 2003). The Enhanced Strong’s Dictionary defines this word as “a scandal-monger (as travelling about):—slander, carry tales, talebearer” (2011). Gossipers love to secretly reveal embarrassing and shameful details of associates and even friends. Furthermore, their desire to share is so great that it is “like a burning fire” on their lips—they feel they must spread the word! God speaks plainly about a gossiper: “An ungodly man digs up evil, and it is on his lips like a burning fire” (Proverbs 16:27, emphasis added throughout). There is no need for a costly survey to find out if gossip is damaging. All people whose reputation or relationships have been damaged through gossip would have no trouble identifying it for the evil that it is. God’s Word speaks plainly about gossip. It hurts others: “The words of a talebearer [a gossiper] are as wounds, and they go down into the innermost parts of the belly” (Proverbs 18:8, King James Version). James, the half-brother of Christ, explains why gossip occurs: “But no man can tame the tongue. It is an unruly evil, full of deadly poison” (James 3:8). Sadly, it seems that everyone eventually finds himself or herself the recipient of gossip and tempted to gossip about others. The tendency to gossip is part of human nature, and taming the tongue requires God’s help. The New International Version renders Leviticus 19:16: “Do not go about spreading slander among your people.” In the New Testament, we read: “If anyone considers himself religious and yet does not keep a tight rein on his tongue, he deceives himself and his religion is worthless” (James 1:26, NIV). These are strong words! But according to this verse, the religion of those who slander is worthless! Isn’t it uncomfortable to think that you or I would be made to answer for every time we gossiped? Gossip is so serious that—unless we are repenting and seeking God’s help in taming the tongue—we will indeed answer for it. “But I say to you that for every idle word men may speak, they will give account of it in the day of judgment. For by your words you will be justified, and by your words you will be condemned” (Matthew 12:36-37). The words we listen to, as well as those that come out of our mouths, indicate our inner character. Jesus said, “For out of the abundance of the heart the mouth speaks” (Matthew 12:34). How we communicate is clearly something our Creator takes very seriously. It is also clear that gossip greatly angers our Heavenly Father, just as a human father becomes angry with his children for hurting each other! Is gossip a sin? We have not read all of the scriptures on the subject, but what we have seen leaves no doubt that the answer is yes. And all sin carries the death penalty (Romans 6:23). While some are tempted to rank gossip as just a tiny, inconsequential sin, we have to remember that all sin is spiritually fatal unless repented of! “And even as they did not like to retain God in their knowledge, God gave them over to a debased mind, to do those things which are not fitting; being filled with all unrighteousness, sexual immorality, wickedness, covetousness, maliciousness; full of envy, murder, strife, deceit, evil-mindedness; they are whisperers” (Romans 1:18-19, 28-29). The NIV renders the last three words: “They are gossips.” It is shocking, but also revealing, to find gossip in this list. The Greek word that is translated “whisperer” is psithurités, meaning also “a secret slanderer” (Spiros Zodhiates, Complete Word Study Dictionaries). Strong’s Greek Dictionary uses an old word, “calumniator”—a person who knowingly makes false or malicious statements about someone—a false accuser. How many people do you suppose would actually think of gossip alongside unrighteousness, sexual immorality, wickedness, evil-mindedness and murder? Obviously God does! Having it listed among these other obvious evils surely answers the question of whether gossip is a sin. And it shows us the importance of taming the tongue. Psalm 15 discusses the character required to dwell with God. This psalm has been called an “entrance liturgy” (The Expositor’s Bible Commentary), with a would-be worshipper asking the conditions for entering a relationship with God: “LORD, who may abide in Your tabernacle? Who may dwell in Your holy hill?” (Psalm 15:1). Believers today can understand the two questions of Psalm 15:1 as follows: Who is truly in God’s Church and who may dwell forever in His Kingdom? David answers these questions by telling us to add three righteous characteristics to our lives (verse 2) and to remove three evil characteristics from our lives (verse 3). These characteristics that we are to remove include or can relate to gossip: “He who does not backbite with his tongue, nor does evil to his neighbor, nor does he take up a reproach against his friend” (Psalm 15:3). The Hebrew for “backbite” means to be “a talebearer” or “slanderer,” who does evil to a neighbor and reproaches (“shames” or “scorns”) friends (Enhanced Strong’s Dictionary and Spiros Zodhiates’ Complete Word Study Dictionaries). Albert Barnes’ Notes on the Bible adds: “The word ‘backbite’ means to censure; slander; reproach; speak evil of. The Hebrew word ‘râgal—a verb formed from the word ‘foot,’ means properly ‘to foot it’ and then ‘go about.’ Then it means to go about as a talebearer or slanderer; to circulate reports unfavorable to others” (comments on Psalm 15:3). So, is gossip a sin? David’s psalm answers this question once again: Yes, gossip is a sin. And James summarizes: “The [unbridled] tongue is a fire, a world of iniquity. The tongue is so set among our members that it defiles the whole body, and sets on fire the course of nature; and it is set on fire by hell” (James 3:6). As a contrast, the apostle Paul tells us how to use our words for the benefit of others. He encourages us: “Let no corrupt word proceed out of your mouth, but what is good for necessary edification, that it may impart grace to the hearers. … Let all bitterness, wrath, anger, clamor, and evil speaking be put away from you, with all malice. And be kind to one another, tenderhearted, forgiving one another, even as God in Christ forgave you” (Ephesians 4:29, 31-32). Are you surprised that God says so much about taming the tongue? In this section on “Communication” you will find several more articles on this important topic!